Are you trying to "focus" your clairaudient intuition, your awareness of guiding voices, your psychic perception? Are you trying to concentrate and isolate these channels, to hear the "other voices" of your higher self, of your spirit guides? Your full awareness -- your total consciousness -- includes your intuition, your subconscious, your emotions, your psychic abilities, your vibes, your gut... It's bigger, broader, softer, looser, fuzzier -- it encompasses much more than just your Thinking Mind. Visualizing the Invisible In this particular example, I'm going to elaborate about your clairaudience, but the same concepts apply to all the clair's. Picture your psychic abilities, or your intuition, as the beam of a flashlight. When you concentrate -- when you focus -- you tighten up, you narrow, you limit the beam of your "hearing." You know how, sometimes, when you're looking for something on the radio, you can set your dial between two stations, and actually hear both of them, overlapping? There may be a little noise, or static, one may be clearer and stronger than the other, but you can hear more than one station at the same time. If you tune the dial up or down, to bring in one more clearly, you lose the other. But when you're sitting on one "station" you have no idea what's coming in on another station right next to it -- even though the other stations are there. Focusing and concentrating with only your Thinking Mind does the opposite of picking up more -- if you try to isolate or pinpoint or laser-focus your awareness, without knowing exactly where the best "spot" is, you end up narrowing the beam of your clairaudient intuition. You could point this narrow listening at three different places, and hit silence, noise, or a smaller section of what you're already getting. This lesson or instruction is channeled information from someone else's spirit guides. I did a reading for a woman a few years ago who had powerful natural psychic ability. She asked me to ask her spirit guides how she could improve or develop her clairaudience -- what could she do to hear them better. What I'm trying to describe here is what they explained to me. "I know that I am clairaudient -- I know that I hear my spirit guides -- but I'm not always clear what they're saying, unless [certain moods, circumstances, or conditions apply]..."
Your Thinking Mind is the "culprit" in limiting your clairaudience, clairvoyance, and intuition. Look at your word choice: "I am clairaudient... but I'm not always clear... unless..." You are negating your ability and attaching expectations as well as conditions. You are identifying limitations. "Okay. I can accept this. When you're unaware of an aspect about yourself, and then it suddenly comes through to you in your field of perception, it's often very difficult to see and understand. And that's where I am at. I don't totally mentally comprehend what you're saying, but I can feel that it's spot on. I think I need to just re-read it several times till it starts to sink in. What you're suggesting is that I completely change the way I have been my whole life. (Not that I don't agree with you that maybe it's time that I try that, I do!) It's just no small task. I'm not sure where to start in this mess of me. Any and all suggestions are greatly appreciated." You know how you can twist a flashlight to focus the beam into a tighter, brighter, smaller spot, or twist it the other way and it expands the circle of illumination with a looser, fuzzier pool of light? Okay -- don't think "I need to change" as in "I need a new flash light." You don't even need to turn it on -- it's already on, it works. You experience limitations because that beam is too tightly focused. Don't change it. There's nothing wrong with it. 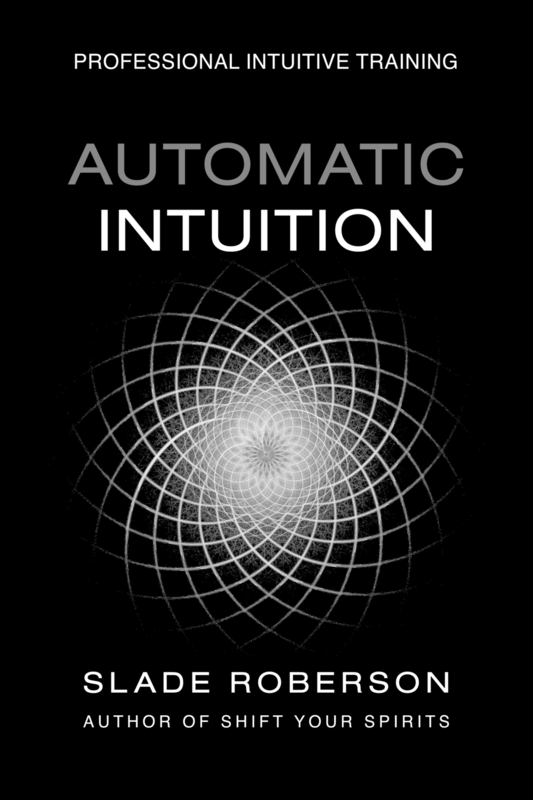 Just allow it to become bigger, fuzzier, expansive -- allow your definition of what is intuitive information to become looser, more relaxed. Yes, listening clairaudiently will be fuzzier -- it's not a laser beam -- it's not about precision -- you will see more and learn how to hear more and discern more in your psychic channel by letting it get bigger, softer. Note how you're catching more by doing the opposite of focusing or concentrating. With a big, broad, sloppy, relaxed intuition you're more likely to pick up "a bunch of stuff" at the same time. Your spirit guides are suggesting you change, but not as you expect. They're not saying you can't, you don't, or you've got it all wrong. They're just telling you to back away from that tiny spot of expectation and view the intuitive information from "higher up," with a larger focal point. Maybe to focus your psychic abilities, what you actually need to do is let the light you're shining grow to illuminate more by twisting it in "the other direction." Older PostHow Do You Respond to Someone Who May Be Suicidal or Mentally Disturbed?